It was 1973, the year the US withdrew from Vietnam, Pink Floyd released Dark Side of the Moon, and my father returned to Malaysia after spending 10 years in Australia on a Colombo Plan scholarship. 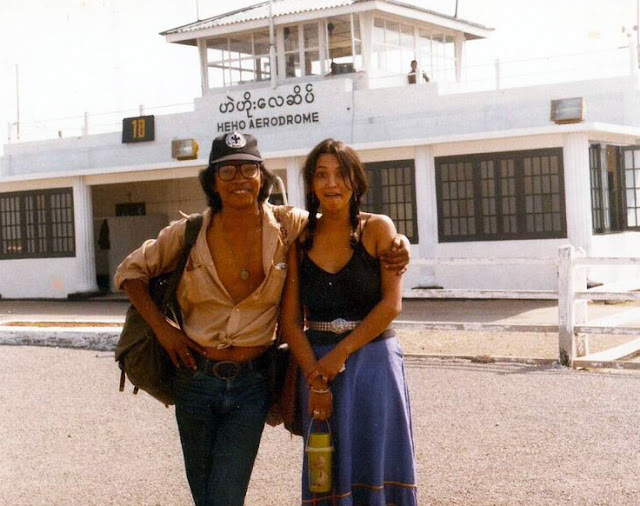 He had met my mother at the University of Adelaide and eloped to Tasmania when the in-laws threatened to deport him for 'messing around with a white girl'. When it was time to return home he took me with him. I was just 9 years old and we had tragically lost my younger sister in a car accident the year before. The next few years were a blur of exciting and challenging new things – it was the first time I experienced kampong life and the unconditional support of an extended family. I learnt Malay. 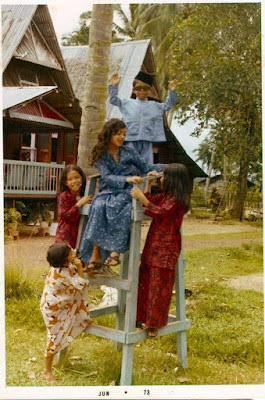 And I lived the rollercoaster life of Salleh Ben Joned's daughter. Much of my childhood was spent hanging around the University of Malaya where SBJ taught, playing games in spooky abandoned buildings where he rehearsed plays, or entertaining myself with his Ella Fitzgerald records as he sat hunched over his manual typewriter writing...writing...writing. 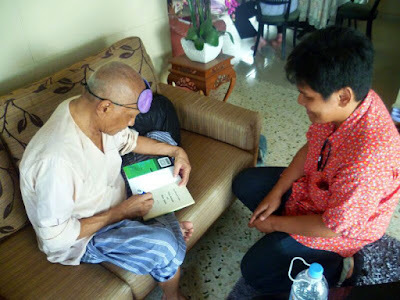 There were a lot of social gatherings too – with people like actor Syed Alwi (I used to enjoy his great comic collection) and poet/painter Latiff Mohidin (I still have a sketch I did of him as a 10-year-old). And it was during this time that my father bought me my first guitar and let me come to a film club screening he had organised of Black Orpheus – sowing the seeds for my current love affair with Brazilian music. What I didn't know as a child, was that my father was also using his bilingual skills to shatter taboos around race, religion and culture ­ giving the finger to the establishment and building a notorious reputation for himself in the world of Malaysian literature. Some of this rebellion was no doubt self-conscious, but I think he was trying to make sense of the contradictions he felt between the imposed strictures of the powers that be, and the sensual joy of life that he saw rooted in the culture he grew up in. Most of his life Abah has struggled with manic depression and various treatments for it (he often challenged the bipolar diagnosis, suggesting that what people called 'mania' was just 'normal' and depression was what he experienced when he wasn't feeling creative). I'm sure he would have preferred to have lived fast and died young like James Dean, but it was not to be. 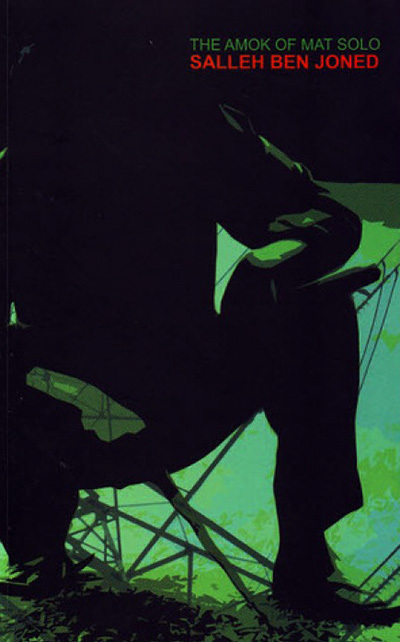 He hasn't written for a long time now, yet his legacy continues to be a catalyst for expression and creativity. Last year, a message popped up on my Facebook from a young SBJ fan. "I don't know how to explain this," wrote Saufie Jaffar, a photographer and graphic designer from Melaka – my father's hometown. "I just wanted to know how is Mr. Salleh doing? Where is he now? ... [smile emoticon]". Saufie recalled first meeting my father at a Lat retrospective exhibition. "Inside the toilet, I was smoking with my friends and suddenly he came and said 'May I join the club?' He wanted to borrow the lighter actually [grin emoticon]." 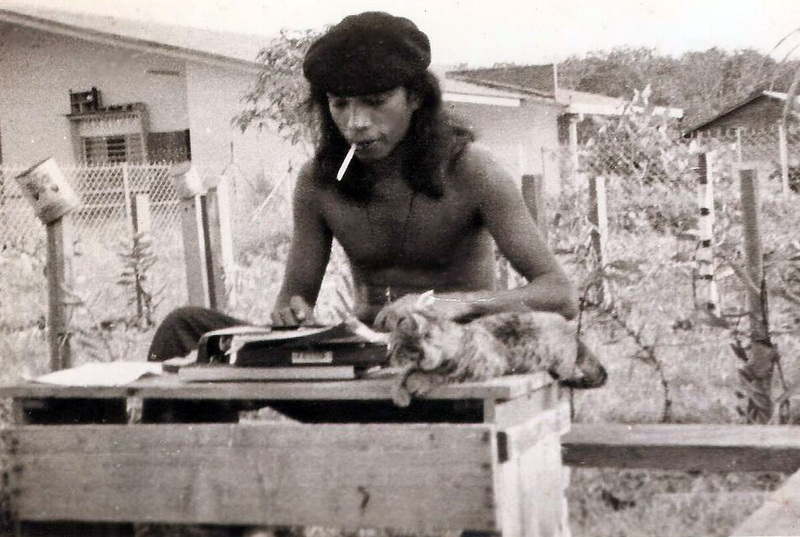 A bit later Saufie saw SBJ's brief appearance in Amir Muhammad's film The Big Durian and was able to put a name to the face of that 'jamban' intruder, and to follow up his writings. 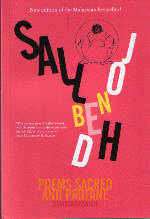 Saufie said my father's poetry had inspired him to write – and now he has his own publication coming out. 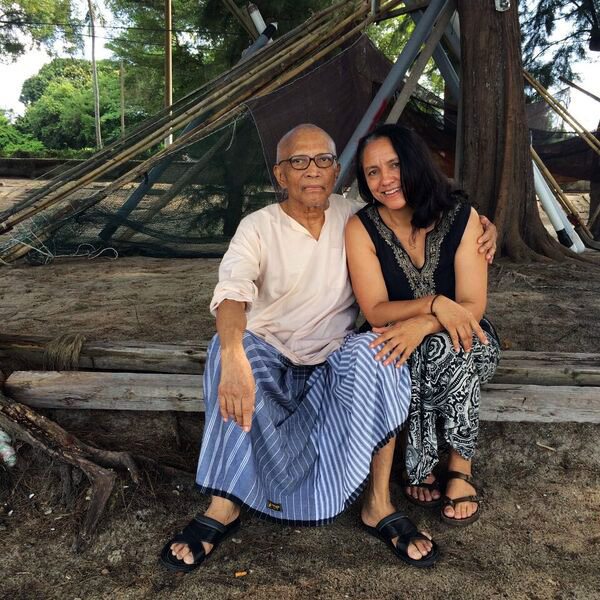 The young poet was beside himself when he managed to catch up with SBJ on a recent family trip 'balik kampong'. Saufie got his copies of Sajak Sajak Saleh and The Amok of Mat Solo autographed, although unfortunately a friend had borrowed his copy of As I Please at the time. Saufie is just one of a number of younger people who have connected with my father's writings. Students have based projects on his works, and those taught by my father's students have called for a tribute to be written for this 'icon' they've never met. Then there's young musician Emir Syazwan who paid homage to SBJ by reading one of his columns in a video posted on YouTube and the fans who lovingly describe Abah as "the Johnny Rotten of poetry in Malaysia" or "Malaysian literature's l'enfant terrible." There are some who would have found my father arrogant and disrespectful in his time, some of his works obscene. But there is no doubt his provocation has left a mark, including on a whole new generation. Friends tell me his work is as relevant to Malaysia today as it was when first written – a fact that has given birth to this blog and its associated Facebook page, which will feature regular posts by the SBJ Online team. 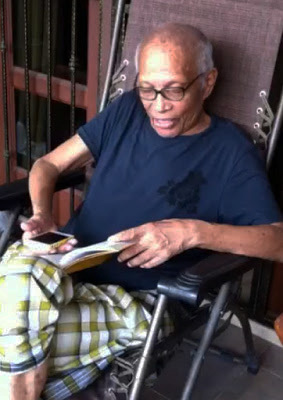 It's only right that the likes of Saufie and Emir and the countless others who may spend more time online than reading books, can access the works of the man I affectionately know as 'Abah', but who appears now to have become a national treasure. What a beautiful thing it is to see a daughter inherit her father's feisty spirit! Dear Jack - please contact Sheila Rahman directly on rahmansheila@yahoo.com about your request. hai anna do u remember me...Sofian Ismail..mak mee son?? Of course I do!! I hope you are well! 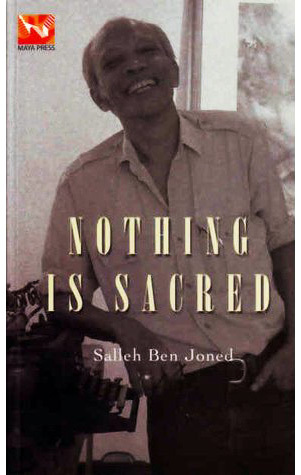 ..Salleh could have been an icon..in his own field, but over the years, how many even bothered to look back....same to other intellectuals, Kassim Ahmad, Bakri Musa... sure many more brainy Malays not in the boat..